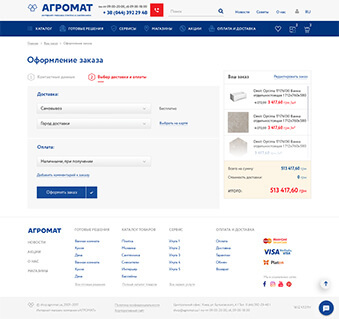 AGROMAT includes more than 1000 brands of tiles and sanitary ware for the whole house, a large number of shops and showrooms with ready-made solutions, personal service, as well as its own academy of designers for quick, convenient and high-quality repair solutions. Create a comprehensive online resource of the company, which includes a large corporate website, an online store and an information portal for expert articles, advertising of new products and help in choosing products. Using the concept of a new company design applying blue color and branded yellow duck. 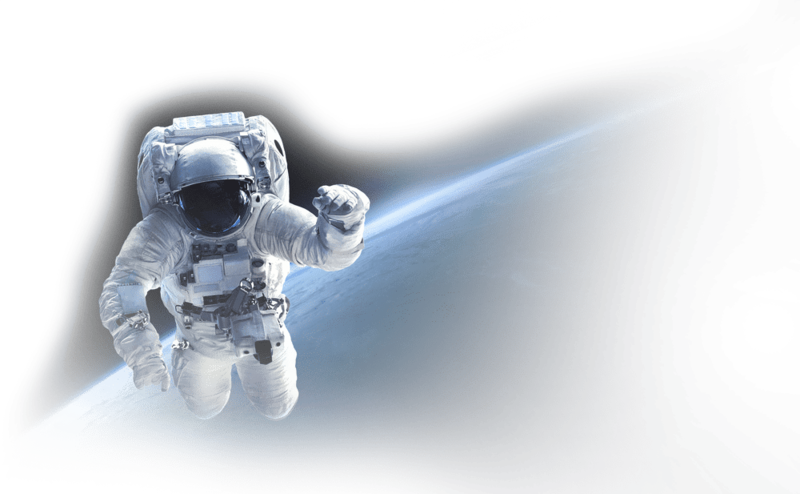 It is necessary to introduce a convenient navigation between portals. 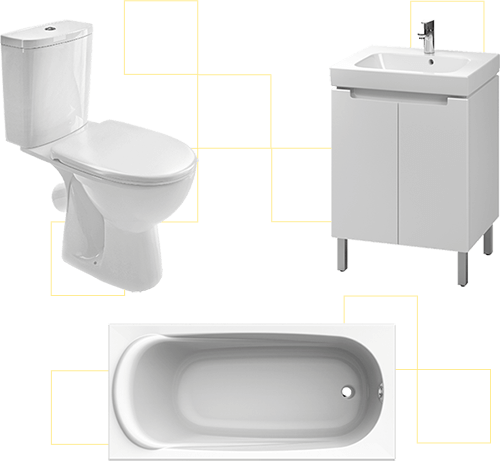 Each of the sites should have its own brightly pronounced style and functionality, while remaining within the framework of a common unified concept. 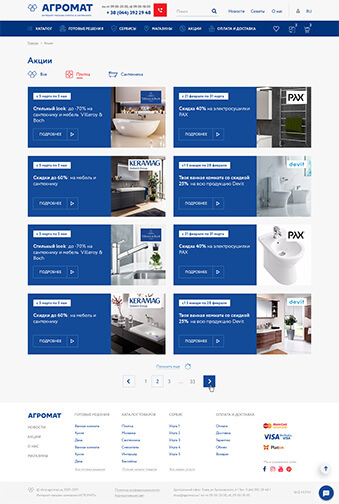 Based on the tasks, three separate company sites were created, complementing each other qualitatively and opening up unlimited possibilities for searching, selecting and buying materials for top-notch and eye-pleasing repairs. The main tool of online interaction with the final customer is the company's online store. 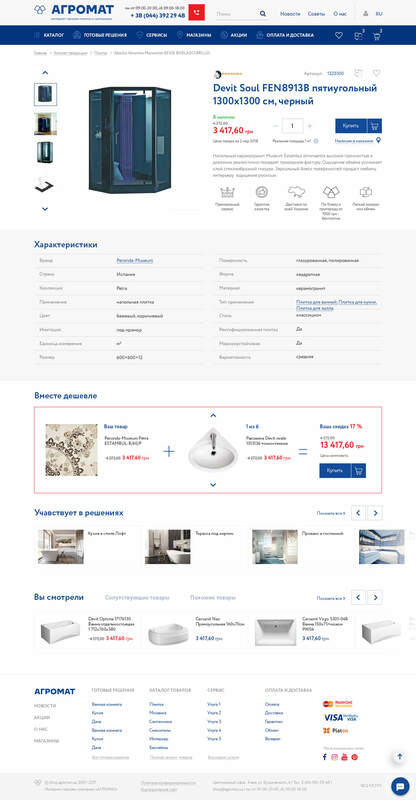 An extensive and visual catalog, a system for searching and selecting goods, promotions, user registration - there is everything for the most comfortable navigation in the sea of options for arranging rooms. 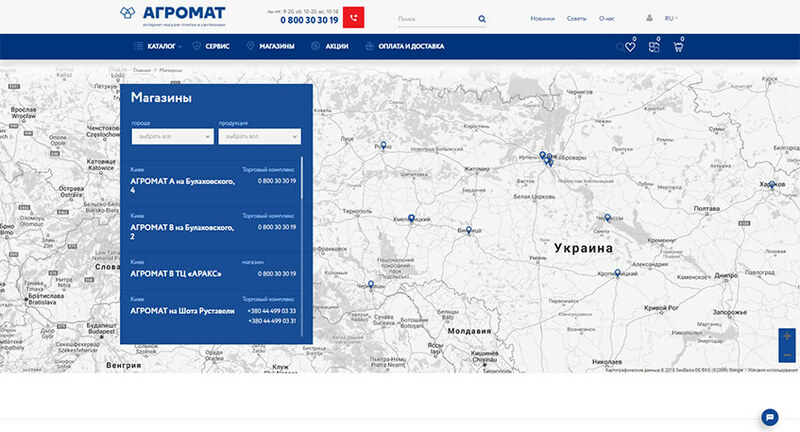 Also, there is a binding of products to the network of stores in Ukraine. Alone desire is not enough to achieve an excellent result. 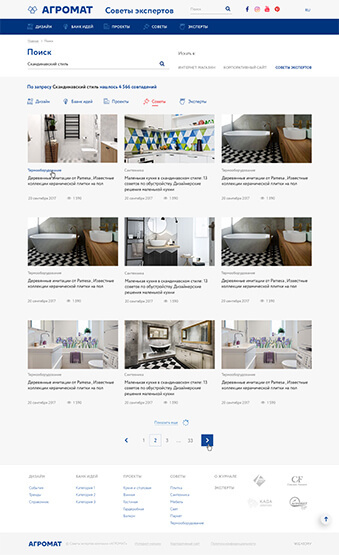 A large updating base of ideas and advice from AGROMAT specialists, as well as a portfolio of ready-made design solutions with contacts of interior designers, allow you to quickly solve all the preparation problems, dispel doubts and protect you from the desire to redo everything again after the repair finish. AGROMAT is constantly developing and offering a growing range of services for its clients and partners. For the purpose of effective communication, special service pages were created, so there you can familiarize yourself with the services and immediately select a contact specialist depending on the direction and region. And, of course, a huge number of auxiliary pages and pop-up windows are included. 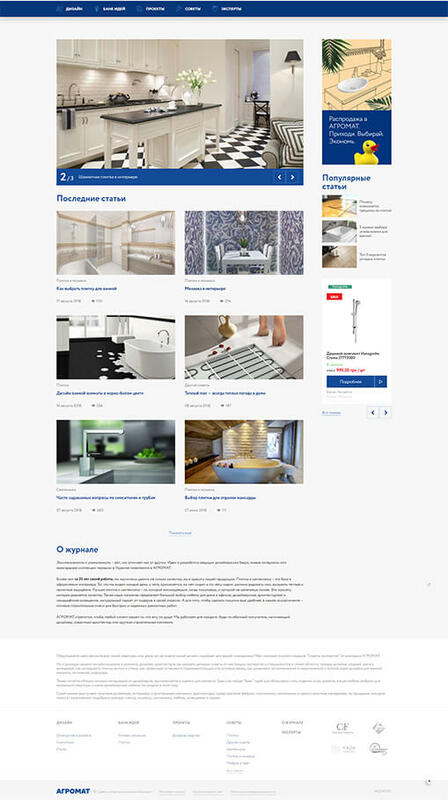 You can find the history of the company, news, contacts, job page, personal account with all the functionality of the purchase and registration and much more.